Many leading companies strive to follow best practices in corporate governance, demonstrating responsiveness to investors and protecting shareowner value in the process. Paradoxically some of these same companies often appear to leave their commitment to good corporate governance at the doorstep when they serve on the board of the U.S. Chamber of Commerce (the Chamber). In so doing, they perpetuate a dismal failure of governance. How so? Many of these companies demonstrate strong environmental and social policies and urge their suppliers to follow suit. Yet sadly they are silent at Chamber board meetings despite the association’s aggressive actions to undermine sustainable business practices. The Chamber has always been a powerful force in Washington, lobbying and influencing elections. In the last two years, led by CEO Tom Donohue, it has attacked a wide range of issues including healthcare, climate change, and financial market reforms. The Chamber announced it would spend $75 million in political campaigns in 2010 with one goal being to unseat all congressional members who voted for health care reform. The funds for this partisan political fight were raised and spent in secret, with no public accounting or transparency. Similarly, the Chamber, allegedly on behalf of the business community, lobbies, speaks publicly and puts political dollars to work effectively challenging company positions on environmental matters. Recently the Chamber sued the EPA to block its ability to mitigate climate change through regulation. The Chamber’s website states: “Directors determine the U.S. Chamber’s policy positions on business issues and advise the U.S. Chamber on appropriate strategies to pursue. Through their participation in meetings and activities held across the nation, Directors help implement and promote U.S. Chamber policies and objectives.” Hence Walden, with other investors, has discussed with dozens of companies how membership on the Chamber board may be perceived as supporting the Chamber’s policies. Sadly we are learning that Chamber board members rarely speak out publicly, or even privately at Board meetings, to challenge its anti-environmental positions. Nor do they confront the Chamber on its partisan political activities. Clearly there are multiple contradictions between the environmental policies of Accenture, IBM, Pepsi, Pfizer, and UPS, all board members, and the Chamber’s antagonistic actions against climate change legislation and regulation. 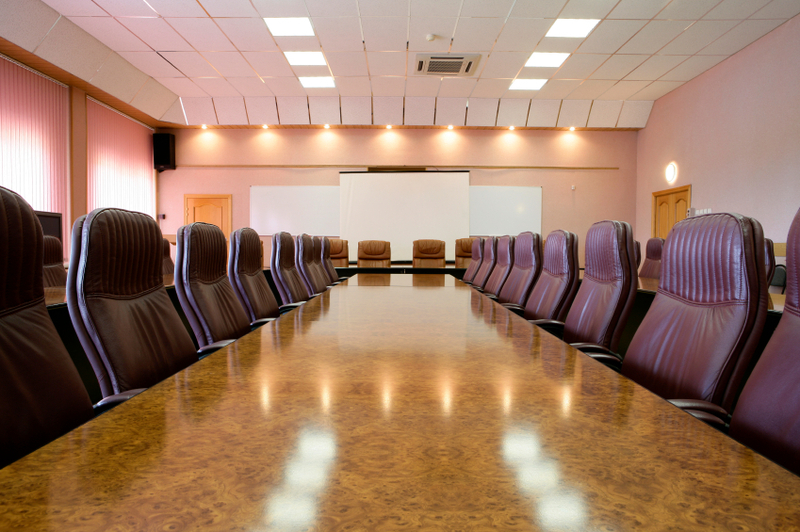 Yet as Board members they set and oversee these very policies and campaigns that undercut their companies’ positions – a perplexing way to spend shareowner dollars. It is time for Chamber board members to end this pattern of compliant and passive acceptance. It is not acceptable to allow anti-environmental policies to flourish and partisan political campaigns shrouded in secrecy to be the order of the day. A respect for good governance requires companies sitting on the Chamber board to stand up and be counted or head for the exit. Timothy Smith is Senior Vice President and Director of ESG Shareowner Engagement for Walden Asset Management, a division of Boston Trust & Investment Management Company. PreviousWhy No National Recycling Law in the U.S.?